The Lacoste watch models are diverse: bright colours, unusual designs and eye-catching graphics, but also casual and classic-elegant looks can be found under Lacoste watches for men. Bracelets made of stainless steel, calfskin, textile and silicone are available. All models have one thing in common: best brand quality at a fair price. 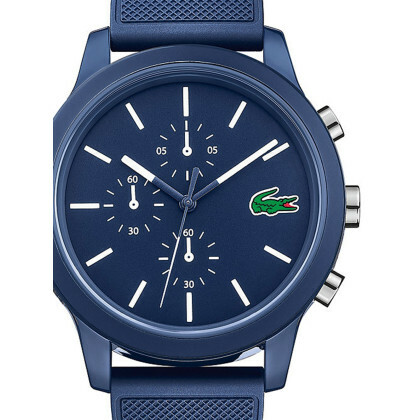 Choose a stylish Lacoste men's watch - you will enjoy it for a long time! You are looking for a gift for a lady? Give time away - for example in the form of a Lacoste ladies' watch! The trendy timepieces with the crocodile are also well received by the ladies. And if not: with the 30-day exchange right and the money-back guarantee, you are always on the safe side.